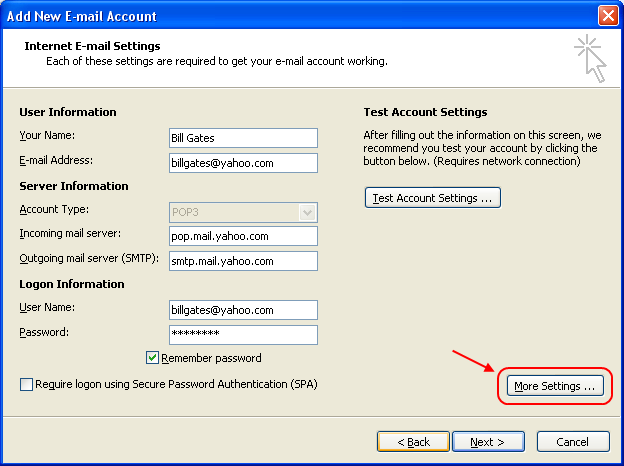 This guide will teach you on how to setup your Yahoo! Main in Outlook 2007. First you need to enable POP3 in your Yahoo! Mail account. You can follow my guide here on how to enable POP3 in Yahoo! Mail. 1. 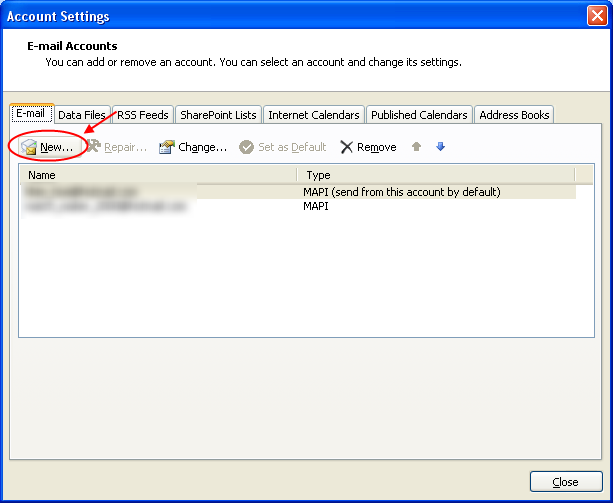 First, Go to Tools -> Account Settings. 3. 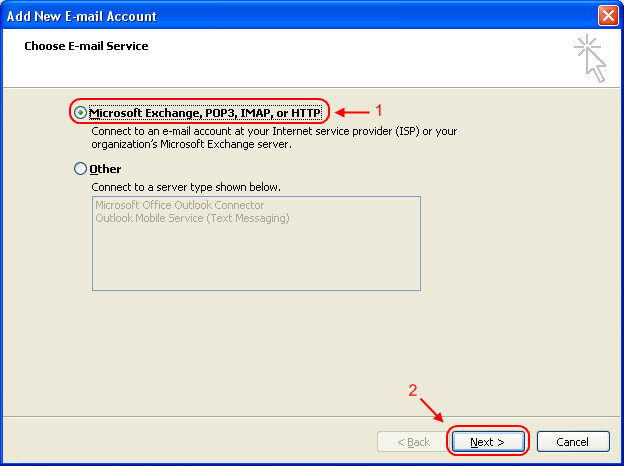 Select ‘Microsoft Exchange, POP3, IMAP, or HTTP’ and click Next. 4. Tick ‘Manually configure server settings or additional server types’ and click Next. 6. Fill in your account details. Once you’re done, click the ‘More Settings…’ button. 7. The ‘Internet Email Settings’ windows will pop up. Click on the ‘Advanced’ tab. Change the Incoming server (POP3) to 995. 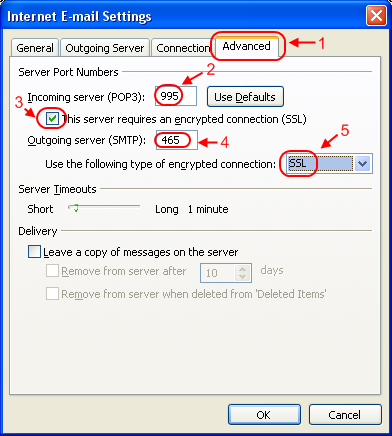 Tick the ‘This server requires an encrypted connection (SSL)’. 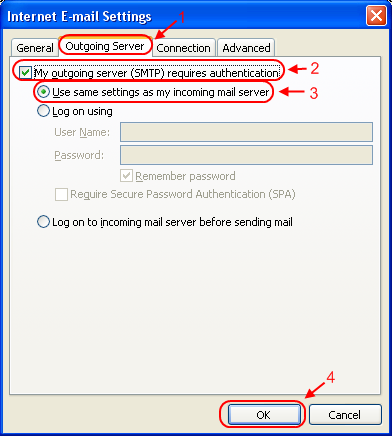 Then, change the ‘Outgoing server (SMTP) to 465 and Select ‘SSL’ in the drop down list. 8. 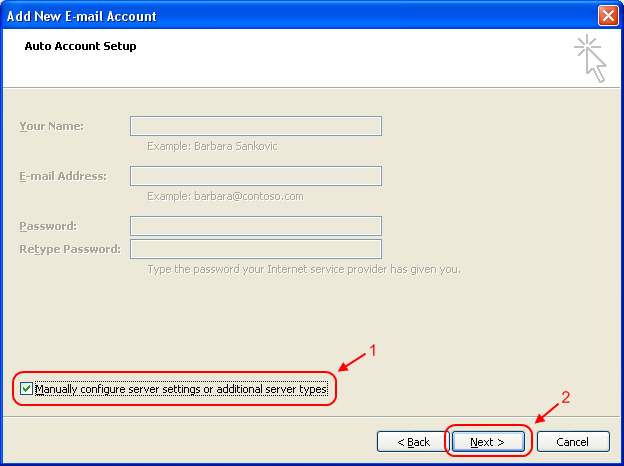 Next, go to the ‘Outgoing Server’ tab and tick the ‘My outgoing server (SMTP) requires authentication’ option. 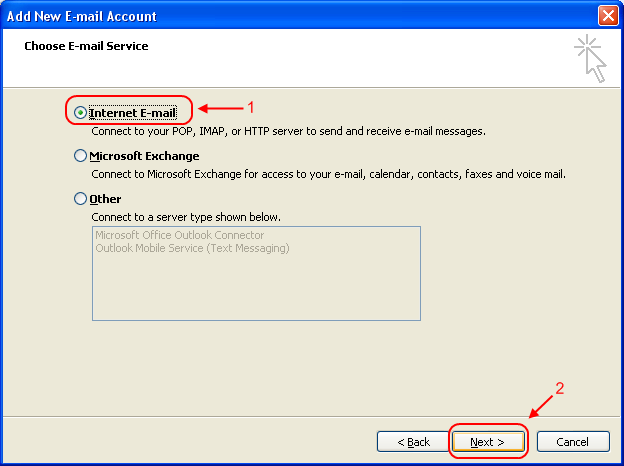 Select ‘Use same settings as my incoming mail server’. Then click ‘OK’. 9. Click on the ‘Test Account Settings’ button. 10. Once you’re done, click ‘Next’. Congratulations! You just finish setting up your Yahoo! 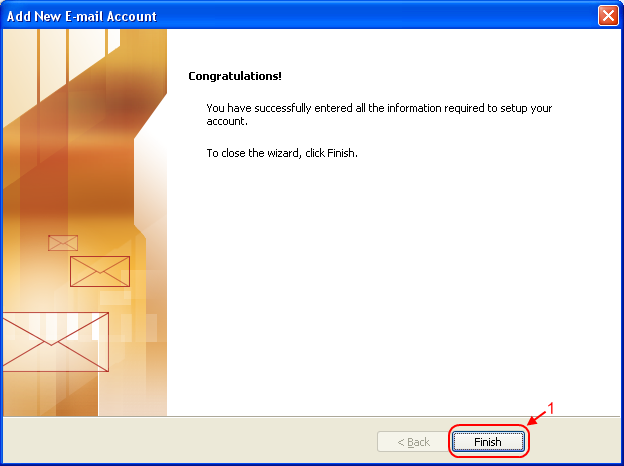 Mail in Microsoft Outlook 2007! 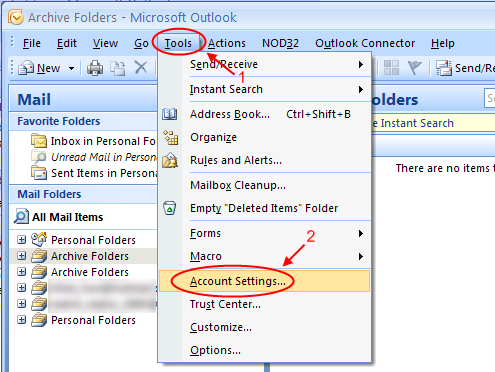 If you have large Inbox, it will take some time for Outlook to download all the mails. * If you are getting “Enter Network Password” error, please make sure that you have POP3 enabled in your Yahoo! Mail option! You can follow my guide here on how to enable POP3 for free Yahoo! Mail account. This entry was posted in Guide and tagged outlook, pop, pop3, yahoo, yahoo mail. Bookmark the permalink. Thank you again. I had a major computer problem and had to set up Yahoo mail on Outlook again. Came back to your site and followed your directions. Very helpful. Thank you guys, you’ve done an awsome job helping me configure outlook. Hi guys i just followed the instruction to configure yahoomail in to my outlook 2007, but am unsuccessful regarding this am getting a dialog box prompts that enter your network password, am using my nokia N8 to connect internet to my laptop via bluetooth and 3G. what is the problem and better solution for this, please advice fast. I’ve followed your instruction, but I cannot do it successfully, when I test account setting, there are some errors. I would like to know the reasons. Thank you so much! I’ve been trying to figure this out for 2 days and with your directions I am not receiving and sending messages from my outlook account. Thank you! I followed the same step as mentioned above but I cant do it successfully, when I test account setting, there are some errors. But it keeps bringing up a tab that states enter network password. I tried the above. Check and rechecked. 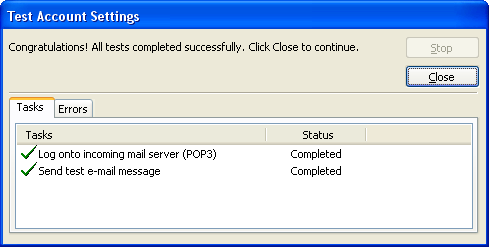 It still give a cross with POP3 while sending test email message gets done. thank you for this information, i already done test to send messages and it works but unfortunately it cannot recieve mail?? how was that? what am i going to do?? couldn’t pay for the yahoo mail plus as i am using master card from Nigeria. is there a way to configure without using yahoo mail plus? kindly advise. I tried using 4 other methods to get my email to work and this was the only one that worked!! Thanks heaps! Still getting error messages and nothing appears to work. Rechecked the yahoo POP settings and rechecked each of the settings as recommended. Note- our problems with outlook happened afer yahoo went through a major upgrade several months ago. Reecently the servers froze and messages delayed for hours. What alternate settings can work? What does Microsoft say? What does Yahoo say? it’s 2014 but still this guide works like CHARM! Thanks a lot! Very good guide!! Thanks a mill! I tried this setup for the first time and got it right too. I’m just a beginner on computers and battled with setting up my outlook 2013. Just want to say thanks for the great help. THANK YOU. Thank you.I can’t believe my outlook 2007 is working .I am so happy.Thank you for taking your time to help.